I started looking at cable architectures a while back. It was initiated by an experience with a home lighting repair. That’s a lot of "noise". So how does that relate to audio cables? Most all cables used in audio have conductors that are in extremely close proximity and run parallel to each other, but one common perception of that cable is, one conductor is the positive and carries the signal and the other is the neutral and acts as the return path. Added to that simplistic view, we also tend to think of the cable as a single entity as in the diagram below. The neutral therefore, is NOT the return path for the Signal as many folk believe, but in stark contrast to the signal conductor, should always carry the same potential value as the neutral (or ground side) of the two connected circuits...which is - ZERO VOLTS. So, in a cable having a conventional architecture, i.e. two parallel conductors in very close proximity, it is not beyond the realm of possibilities that the signal conductor would induce some noise into the neutral conductor, which in turn pollutes the neutral sides of the circuits of both components. This affects the operation of both components, resulting in a degraded audio signal ! This is a consideration few audio cable fabricators are yet to grasp. Many cite their cables are made from high purity silver or copper, even the shield and we all go Ga-Ga! Unfortunately it’s the consumer that is wasting their money - NOT the manufacturer! Some of the more recent cables to come onto the market aim to eliminate the induced noise by utilizing a less conventional "cable architecture". 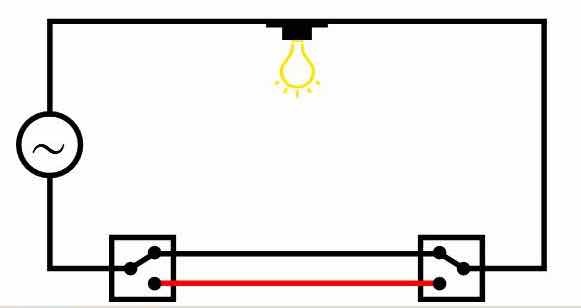 - Another very effective architecture would be to wind the neutral around the signal conductor, such as the architecture utilized in interconnect cables from Anticables. - And then there are the more “exotic architectures”, such as that utilized in Interconnect and Speaker Cables from KLE Innovations. The “fine details” of their gZero Architecture is a closely guarded secret. What is known - their architecture incorporates multiple conductors of various materials, each having an “optimal gauge” for the required duty, which are fabricated by hand in a complex “noise cancelling geometry”. They also utilize very hi-tech proprietary materials for their connectors which also contributes to maximum signal transfer and noise reduction. This approach elevates not only their cables, but also your existing components, to a whole new level of performance! Noise is present in every cable that utilizes the more conventional cable architecture having parallel conductors and applies to Interconnects, Speaker and Power Cables. “twisted pair construction minimizes radio frequency and electromagnetic interference for clear, noise-free sound”. This may be the case, but it’s only the tip of this particular iceberg! a natural, more realistic, even “holographic” performance. The attached components run significantly cooler! So if you are looking for audio cables of any type - take a close look at the architecture before you buy.